A series of lessons on chocolate made me appreciate it more. 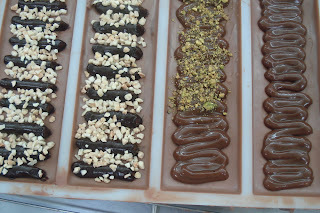 Not only because I learned the methods of tempering all kinds of chocolate but also because I got the first hand experience of making this wonderful food most of us can't live without. 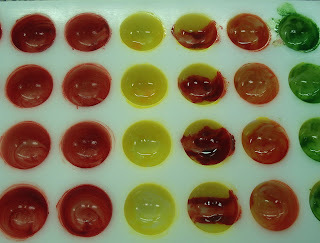 Today's practical was a continuation of yesterday's. 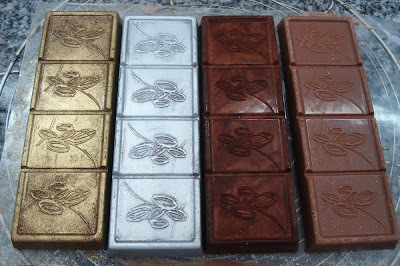 Both recipes yield good "eating" chocolate due to the fact that majority of the ingredients are of the best quality transported from afar. 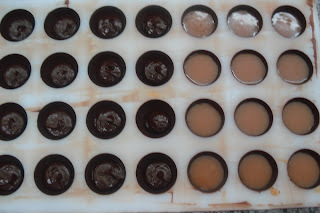 Pictured is the filling of my chocolate bar. 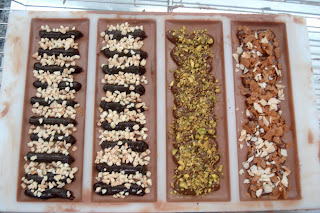 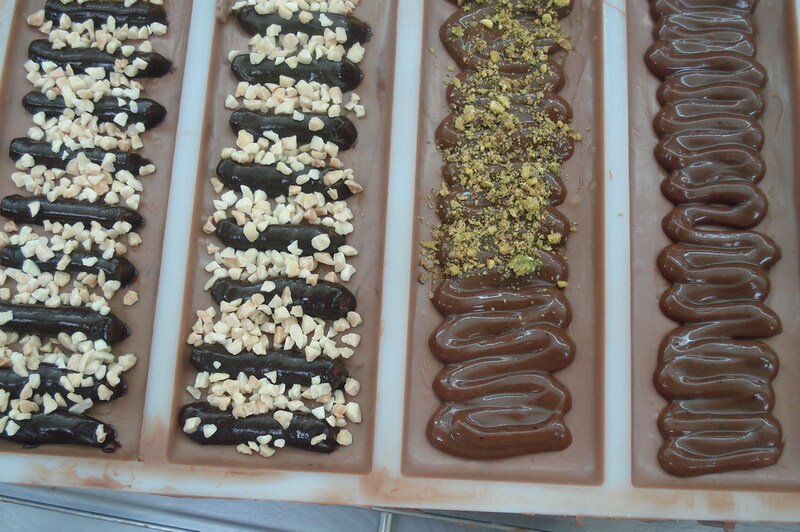 The first 2 columns are Tonka ganache with nibbed almonds.. 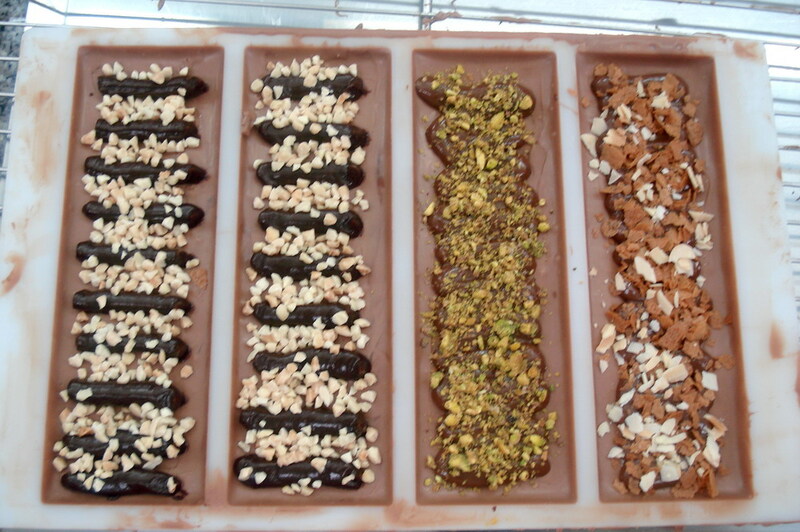 The last 2 columns are Earl-grey ganache with ground pistachio and feuilletine. My choice of color for my bonbons. 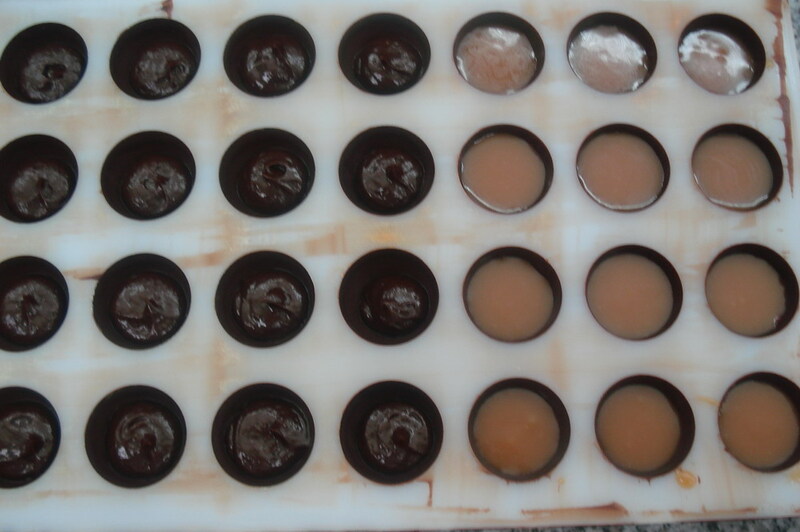 The mold is coated using cocoa butter with edible color powder. 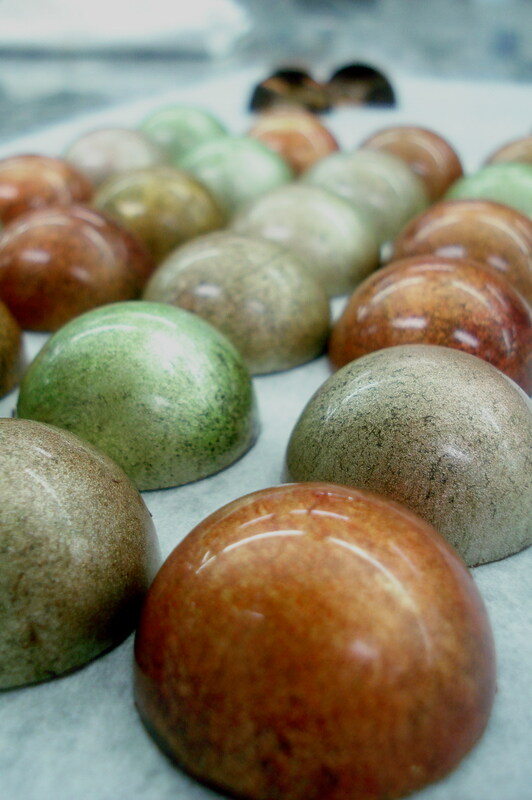 The black ones are frosty mint filling, the ones on the right are caramel pomme. 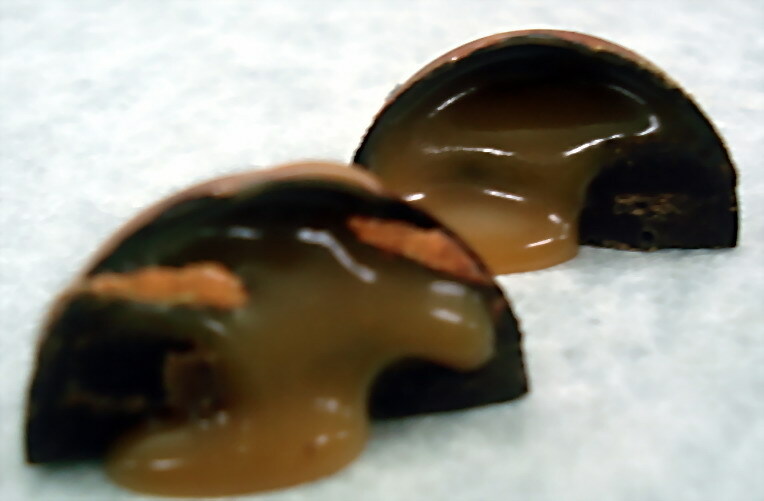 The filling is oozing out when cut. 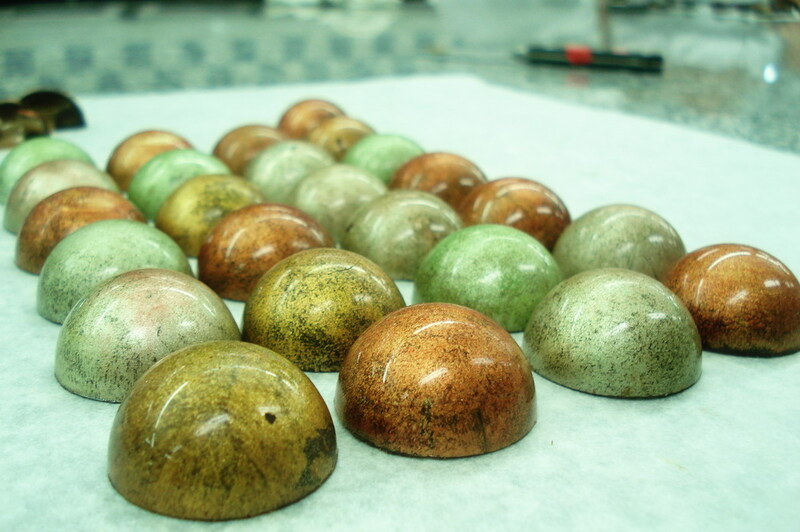 My shiny, colored chocolate bonbons! No more spending on chocolate. I can make them at home!